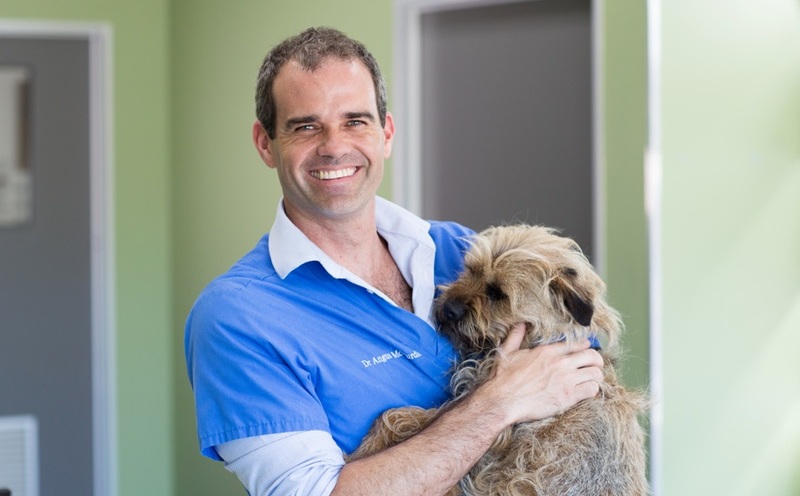 Glenelg Vet Clinic is owned by Dr Angus McCurdie and Dr Rebecca Nathan. They have been part of the community here in Glenelg for over 15 years now and are still loving every minute of it. 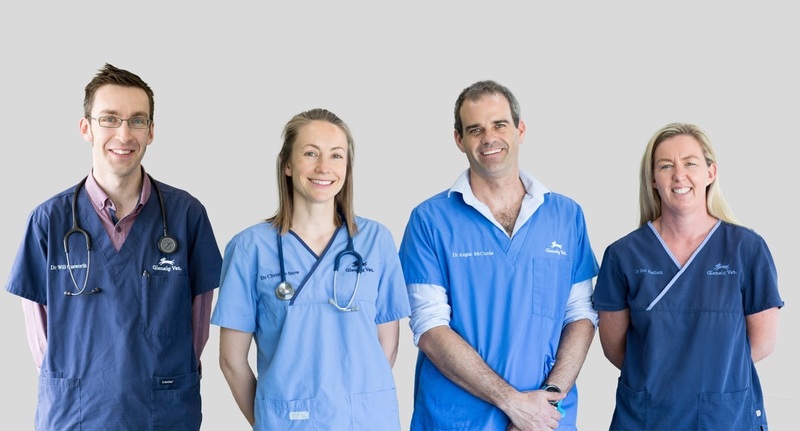 Doctors Will Cusworth and Christina Snow are both permanent members of the Glenelg Vet team. 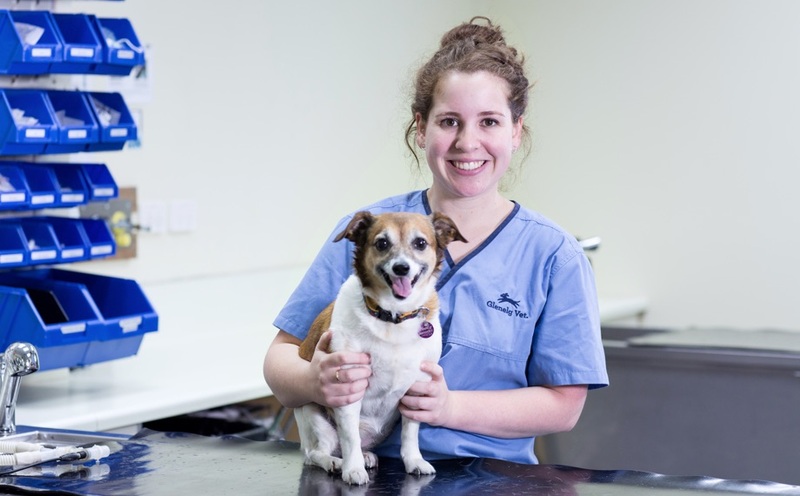 They are both very experienced vets committed to providing the best possible care to the pets of Glenelg. Just as important are all the wonderful nurses who complete the team: Ruth, Katelyn, Erica, Charlotte, Cherie and Ellie. They are fabulous nurses who are dedicated to providing the best experience possible for you and your beloved pet. Angus has been at Glenelg Vet since 2005 and joined Bec and Andrew in partnership in 2008. From his home state, Angus moved to Sydney to study vet science, completing his studies in 2000. From Sydney, Angus moved to the picturesque Clare Valley where he thrived on treating the large animals as much as the town pets. From Clare, Angus and his wife Anita travelled through the UK and Europe gaining further experience as a locum vet before coming home to settle in Adelaide. In 2011, Angus completed post graduate studies in sonology (ultrasound) which he now thoroughly enjoys as well as general and orthopaedic surgery. Angus also has a keen interest in caring for our older geriatric pets, palliative care and oncology. Angus and Anita now have three children who are growing up a little too fast, Ella, Scarlett and Tommy. Besides being immersed in family life, Angus likes to get away for as many mountain bike trips as possible, recently travelling through Tasmania. He regularly rides all of Adelaide’s great mountain bike trails. Bec has co owned and worked at Glenelg Vet since she and her husband Andrew took it over in 2000. An Adelaide girl originally she graduated from Murdoch University back in 1994 then, like most vets, she worked in the country for a few years before heading overseas to do locum work in the Uk. Andrew and Bec lived there for a few years working and traveling around Europe in a camper van before settling back in Adelaide in 2000. Bec still loves being a vet, especially the “ family doctor “ aspect of general practice and enjoys watching animals become such an important part of the family. She also loves a challenging surgery and gets particular joy from removing all the weird stuff that animals have accidentally eaten! When she is not at work she is usually running around after her two lovely boys Max and Harry, walking Chip the Border Terrier or snuggling up on the couch next to Baxter the Burmese cat. Born and schooled in Adelaide, Will studied Veterinary Science at Murdoch University in Perth. 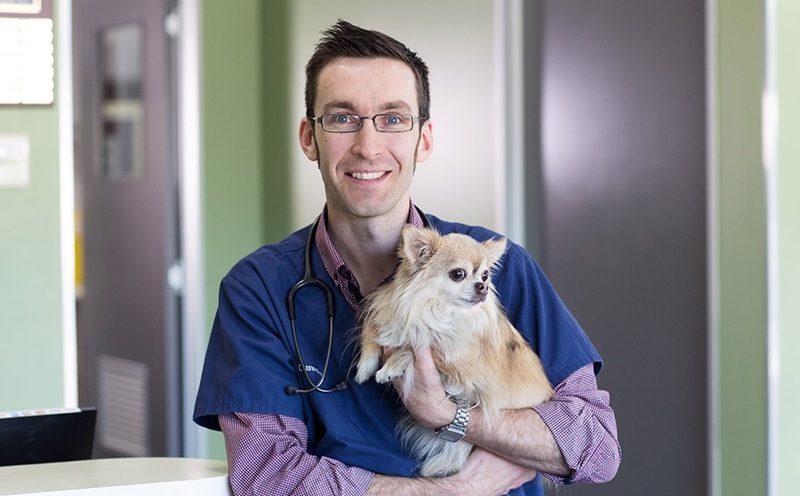 After graduating in 2002, he returned to Adelaide to commence work in a busy small animal practice, before making a leap into full-time emergency practice. Will worked for over 8 years providing Emergency and Critical Care services in a 24-hour veterinary referral hospital, including 4 years as Veterinary Director of the Emergency service. After the rigors of an intensive shift-work schedule and welcoming a son into his life in 2016, Will joined the team at Glenelg Vet in late 2017. He enjoys the multi-disciplinary nature of veterinary work, and helping people reap the benefits of pet ownership in their daily lives. In his down time, he enjoys listening to music, playing indoor football, indulging a love of Italian vehicles, and spending time with his wife, two young children, and aging Chihuahua. 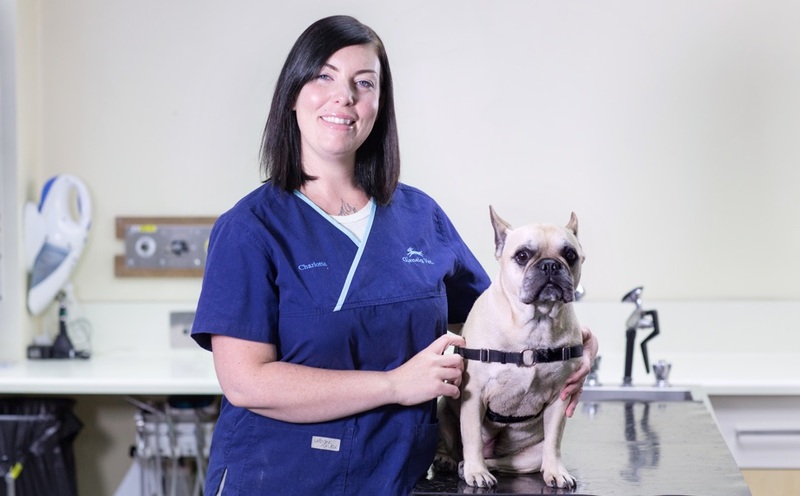 Growing up in Adelaide, Christina completed her Veterinary Medicine and Surgery degree at Murdoch University in WA in 2004. After graduation she moved to NSW and worked in busy small animal practices across Sydney and the Illawarra. In 2011 and with an expanding family she returned, and is now very happy to call Adelaide home. 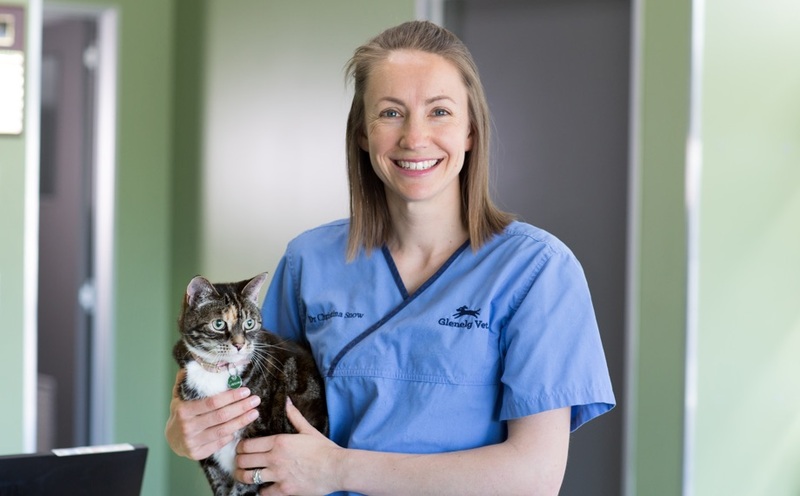 Christina enjoys all aspects of veterinary practice to help pets live long, happy and healthy lives with their families and is very pleased to be a part of the caring Glenelg Vet team. When not working, Christina and her husband, Will, have their spare time tightly managed by 3 energetic young children, Scarlet, Louis and Bonnie, a small flock of chooks and an elderly cat. Christina hopes to add a dog to the family soon. She enjoys getting the kids outdoors for trail walking, running, as well as popping in to the art gallery every now and then. 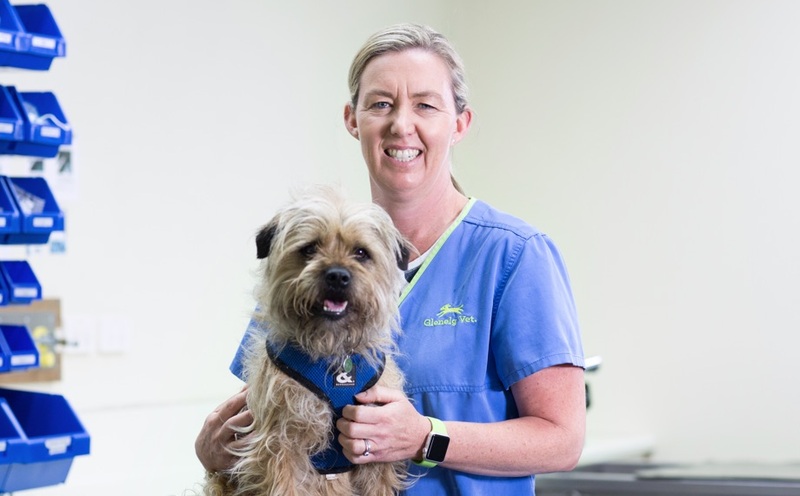 Ruth, our most senior nurse has been with Glenelg Vet for 10 years in June 2019, and is taking long service leave at the end of 2018 to head back to the UK to have Christmas with her family. As well as her nursing duties, Ruth is in charge of some of the ‘behind the scenes’ work that keeps Glenelg Vet ticking. In 2017, Ruth qualified as a Canine Myofuntional therapist. Ruth is happy to offer the service of dog massage through Glenelg Vet. This can be very helpful in alleviating many musculoskeletal issues and is especially valuable in older age patients. In Ruth’s spare time she enjoys going to the gym, catching up with friends, baking, walks on the beach and volunteering for the RSB. For those of you who remember Alice the RSB seeing eye dog that Ruth trained as a puppy educator (who could ever forget Alice), she is now working as a guide dog in Mount Compass with a young gentleman and by all reports is doing very well. Katie has been with us since 2013, qualifying as a Veterinary Nurse in 2015. She has a love for animals and enjoys the company and unconditional love they bring. Katelyn has a Border Collie Jacko who enjoys spending time with not only Katelyn but her family as well. Katelyn and her husband Jordan have one beautiful boy Edward together who keeps them busy. 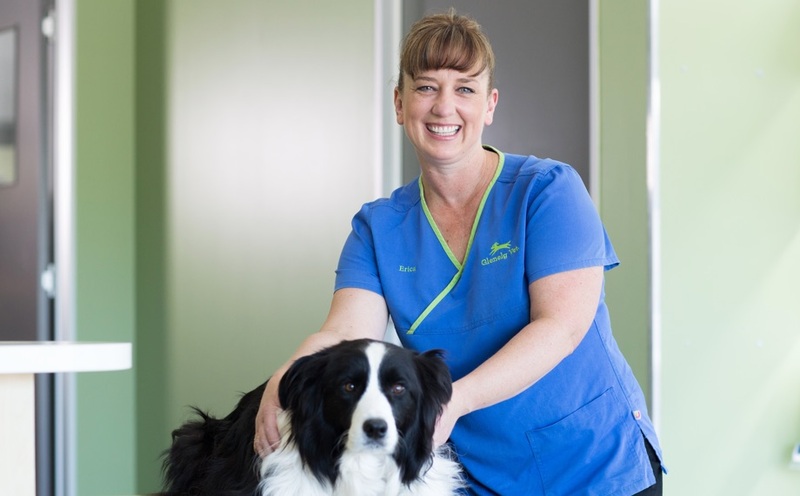 Erica had 18 years of nursing experience before joining us at Glenelg Vet in 2012. Erica was born in Northern Ireland and moved to SA when she was 8 years old. She started vet nursing on completion of High School. Erica and her husband Dave have two beautiful children, Joel and Ruby. She has a strong interest in animal behaviour as well as running the Glenelg Vet Puppy Preschool. Erica is completing her DELTA dog training accreditation enabling her to offer clients the best practical tips on positive reward training. As well as her busy family life, Erica enjoys playing netball, running and boxing. Ellie joined the team at GVC in early 2017 after returning to Adelaide from the Victorian snow fields. She is currently completing her Certificate IV in Veterinary Nursing at Tafe. Ellie is often found in the surgery, where she hopes to make every animal’s stay as positive as possible, holding their paw at every step along the way. When not at work, she can be found playing Aussie rules footy, exploring the local beaches and spending time with friends and family. 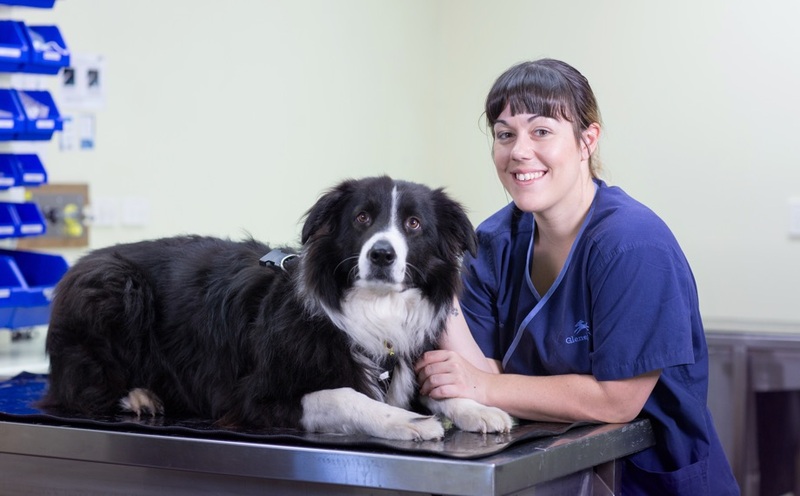 Cherie is new to the veterinary nursing game although she has been working in vet clinics for over 5 years in reception and administration roles. She has nearly completed her Certificate III in Animal Studies and will soon begin the Certificate IV after doing some volunteering in the Cook Islands. She originally studied drama and has worked as drama teacher for several years, a passion which she now continues by participating in amateur plays around Adelaide. Her love of animals has grown since adopting Buddy the Border Collie, and her ‘foster failure’ cat Twix. In her spare time she enjoys reading, walking her dog and water skiing along the Murray River. 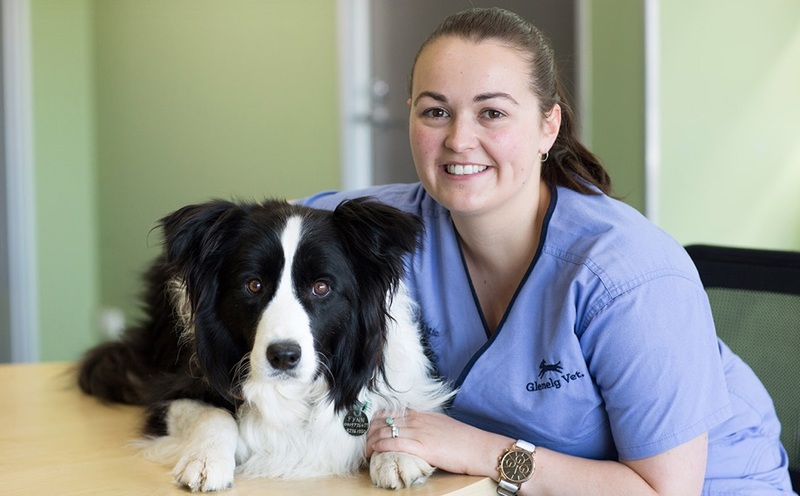 Charlotte has been with the Glenelg Vet Team since early 2017. 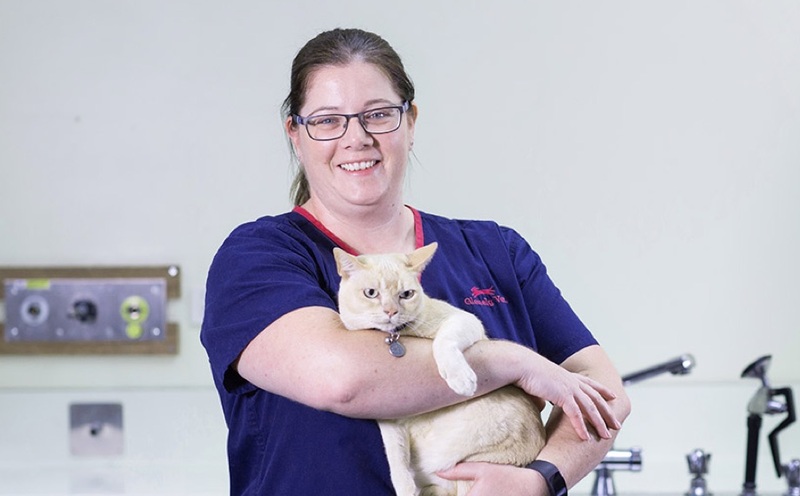 She moved back to her home town of Adelaide after spending 15 years living and working as a veterinary nurse in Sydney and the UK and travelling around Europe. Charlotte is a certificate IV qualified nurse and has been in the industry since 2004. Charlotte is enjoying being back in Adelaide and especially likes the family atmosphere and loyal and dedicated community of clients at Glenelg Vet. Charlotte and her husband Austin have welcomed their first baby, Flynn, in August 2018.